It’s that time of year again! 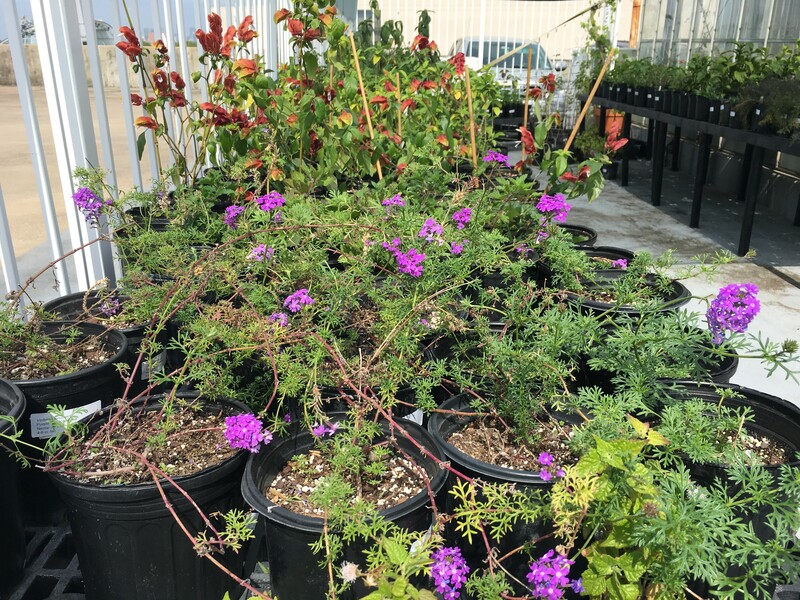 The Cockrell Butterfly Center is having its annual SPRING PLANT SALE on April 1, 2017 at 9am. As usual, it will be located on the 7th floor of the parking garage at the Houston Museum of Natural Science. This past year has been full of changes. Our wonderful Director of 22 years, Nancy Greig has retired, handing the reigns to Erin Mills, who has been with the CBC for over a decade. Another big change has been Soni Holladay leaving to pursue her passion in the cut flower business and the hiring of me, Theresa Freiburger, as the new Horticulturist! I am excited to experience my very first Spring Plant Sale at HMNS and look forward to meeting the plant enthusiasts of the Houston area! We have a wonderful list of plants available for the sale. I am a big supporter of the Monarch Butterflies and have been putting a lot of energy into propagating as many milkweeds as humanly possible. 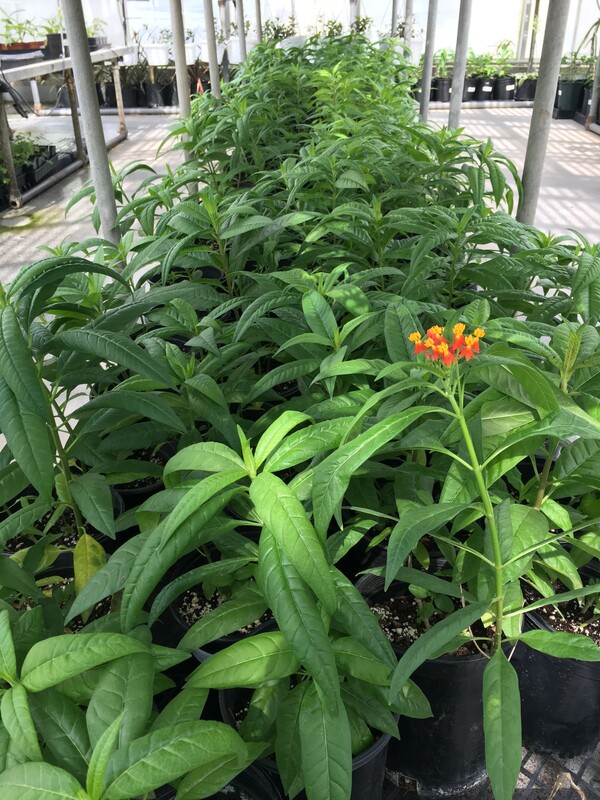 We have over 300 tropical milkweeds (Asclepias curassavica) that are guaranteed OE and pesticide free. 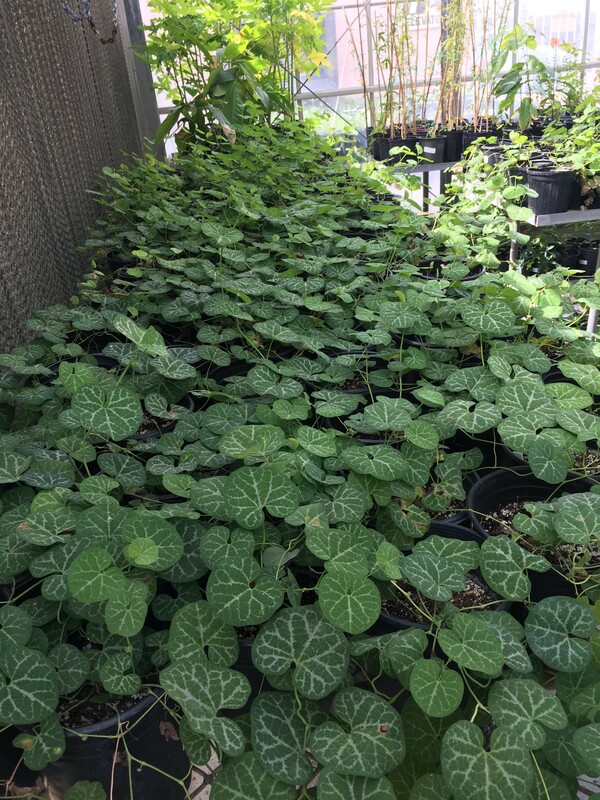 We have grown them from seed in the greenhouse and use only beneficial insects such as lady bugs and spider mite predators to treat any pest problems. As many of you know, milkweed is the host for Monarchs as well as a nectar source for all butterflies. There will be lots of Brazilian Pipevine (Aristolochia fimbriata) which is host for…you guessed it—PIPEVINE SWALLOWTAIL! If you are wanting to create a garden oasis for butterflies, remember to plant both nectar plants to attract adult butterflies as well as host plants for the butterflies to lay eggs on. Each butterfly species has a specific host plant that they will lay eggs on. Check out our plant list to see what each butterfly host plant is. Watching the life cycle of a butterfly in your own backyard is quite gratifying. If you haven’t tried it yet, make 2017 your year! 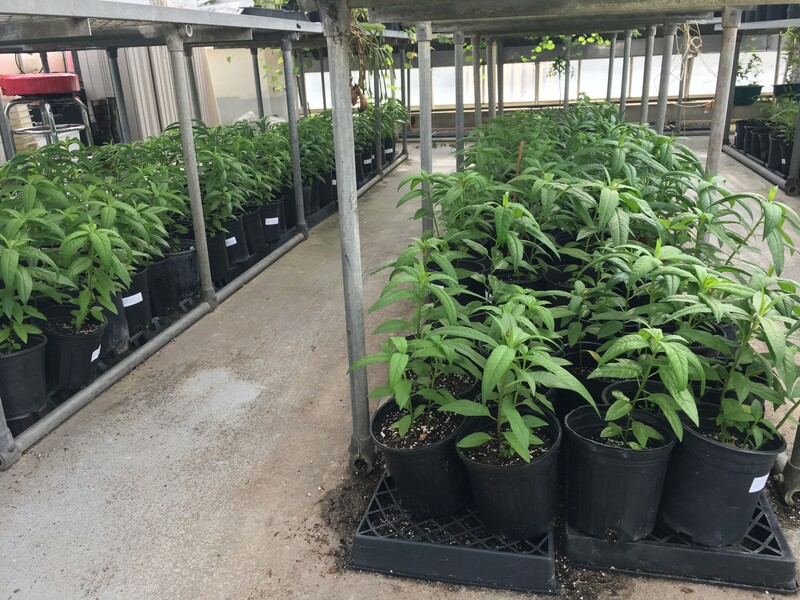 In addition to our many host and nectar plants we will also have some fun and exotic plants, including Papaya trees, chocolate trees, pineapple plants, pitcher plants, and vanilla orchids! There will be FREE parking in the garage (up to 30 minutes after checkout) when you spend $30 or more. Be sure to get your parking ticket validated at checkout! Wagons are provided, but will be limited. It is strongly recommended to bring your own if you have one. The plant sale will begin at 9 am and will end at noon OR when we are sold out. Museum Members will receive 10% off of their entire purchase! WHOO! If you are interested in purchasing a membership, they can be bought in the box office at any time during museum hours as well as online. If your dream plant sells out before you buy one, don’t be upset! 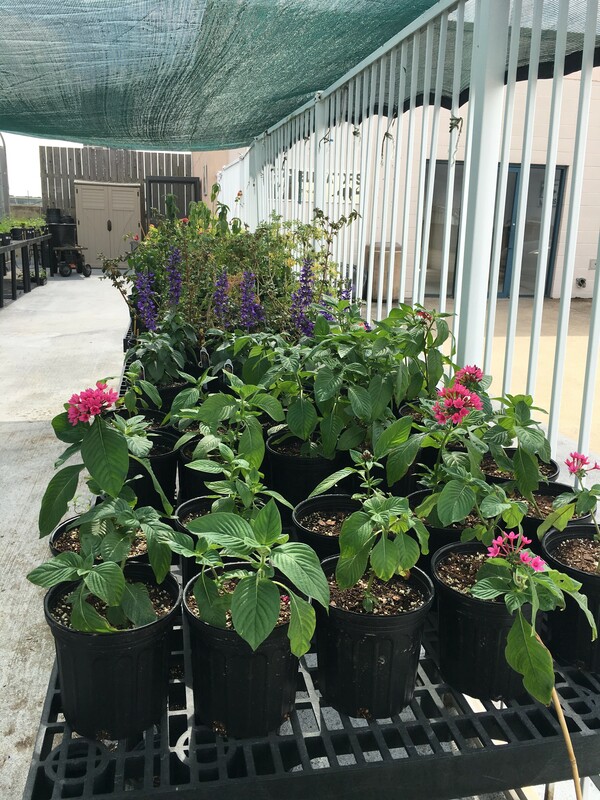 Plants will be sold at the gift shop near the CBC throughout the summer and fall. Stop by the cart to see what’s available! I hope to see you at the sale! Brazilian pipevine is fairly invasive. The tuber-based vine is popping up throughout a 30 square foot area where I planted my HMNS purchased pipevine. Be careful about where you place it. To date, no Swallowtail have sampled it. I’m in The Woodlands. Previous Post What is SPARK?